The dry root tuber or root of perennial herbaceous plant Cynanchum stauntonii (Decne.) Schltr. ex Levl. or C. glaucescens (Decne.) Hand. -Mazz. of family Metaplexis. Zhejiang, Anhui and Jiangsu provinces in China. Light smell, lightly sweet taste. Pungent, bitter, lightly warm; lung meridian entered. Direct qi downward and eliminate phlegm, relieve cough and relieve dyspnea. This herb is lightly warm in nature and is neither dry nor drastic. It excels at directing lung qi downward and eliminating phlegm served as the commonly used herb for treating cough and dyspnea. When qi is descended and phlegm is resolved, cough, dyspnea and chest fullness disappear. It can be used for them due to external and internal invasion, cold and heat, syndrome of new and old, especially for cold-phlegm obstruction of lung and lung qi failing to descend. 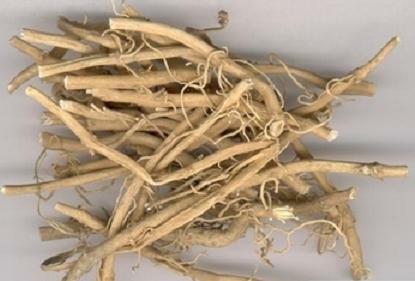 For cough and dyspnea due to cold-phlegm, it is usually combined with cold-phlegm-warming and resolving herbs such as Bai Jie Zi, Ban Xia and Su Zi. For cough and unsmooth expectoration due to wind cold invasion, it is combined with lung-ventilating and exterior-releasing herbs. For instance it is combined with Jing Jie and Jie Geng in Zhi Sou San from Yi Xue Xin Wu. For cough and dyspnea due to pathogenic heat accumulation of lung, it is combined with lung heat-clearing and purging herbs. For instance it is combined with Sang Bai Pi and Ting Li Zi in Bai Qian Wan from Sheng Ji Zong Lu. For impairment of lung qi and yin due to long-term disease, it is combined with qi-replenishing and lung-moistening herbs such as Huang Qi and Bei Sha Shen. Decoct 3~10 g or use in pill and powder. Bai Qian processed with honey is mild in property and mostly used for lung yin deficiency, reversed flow of qi and non-productive cough. 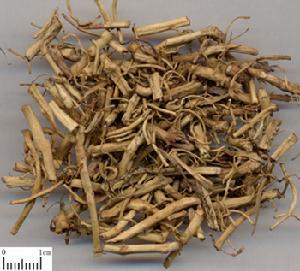 This herb stimulates stomach mucosa and is used with cautions for those with stomach diseases or tendency of bleeding. Use with cautions for cough and dyspnea due to lung deficiency.